Our local Oklahoma City Bankruptcy attorneys care about you and your case. We stand ready to help you with your bankruptcy and get you a fresh financial start. We primarily focus on chapter 7 and chapter 13 bankruptcies in Oklahoma and will walk you through bankruptcy process. Our Oklahoma City bankruptcy attorneys have a great deal of experience in bankruptcy cases and have filed over 1,000 cases throughout the state. More often than not, these clients receive a 100% discharge or forgiveness of their debts or a reorganization of their debt. U.S. laws make a distinct difference between Chapter 7 and Chapter 13 bankruptcies. In a Chapter 7, the filer often receives a clean slate to start anew. Under Chapter 13, debts may be consolidated into a manageable monthly sum. Don’t fear bankruptcy. If you’re under extreme financial burdens, then it might be a suitable option for you. Call our Oklahoma City bankruptcy attorney and discuss your specific situation to decide if filing is the right choice for you. Generally, bankruptcy is accompanied by several benefits. Depending on which type of bankruptcy you file, a large portion of your debts will be subject to forgiveness or restructuring. Also, once you file creditors will no longer call to harass you or your family. Garnishments will immediately cease as well. Together, these benefits can help you get your financial life under control, and in turn, help you regain control of your life. The cycle of bad credit can begin with a single missed payment. Late fees accrue and interest rates kick in. This causes payments to skyrocket and makes it difficult to catch up. Further, if your credit score is affected by this, then any loan for a car or home comes with increased interest rates. Keeping up on high interest loans, while attempting to catch up on monthly bills is nearly impossible for many Oklahoma families. This is when it can begin to spiral. Your home is in foreclosure or your car is repossessed because of your back payments. It is likely at this point creditors will start garnishing your paycheck. Now, it is all but impossible to pull yourself out of the cycle. To stop this vicious downturn, you can file a bankruptcy. Chapter 7 will give you a new beginning to break free from creditors and regain control of your finances. But, if a Chapter 7 is not for you, a Chapter 13 may be. This can restructure your debt into one monthly payment and consolidate your debts. To make this crucial decision, call us. Our Oklahoma City bankruptcy attorneys are here to help you decide if bankruptcy is a valid option for you. We will discuss with you the types of bankruptcy in an in-person consultation. If you determine this is the path for you, then we will create a plan to take the next steps. Bankruptcy is not for everyone and not every debt can receive debt forgiveness. As your advocate, we will carefully go through each debt to get it forgiven. Because bankruptcy must be specific to the client, we will ask you an array of questions about your income and your household. 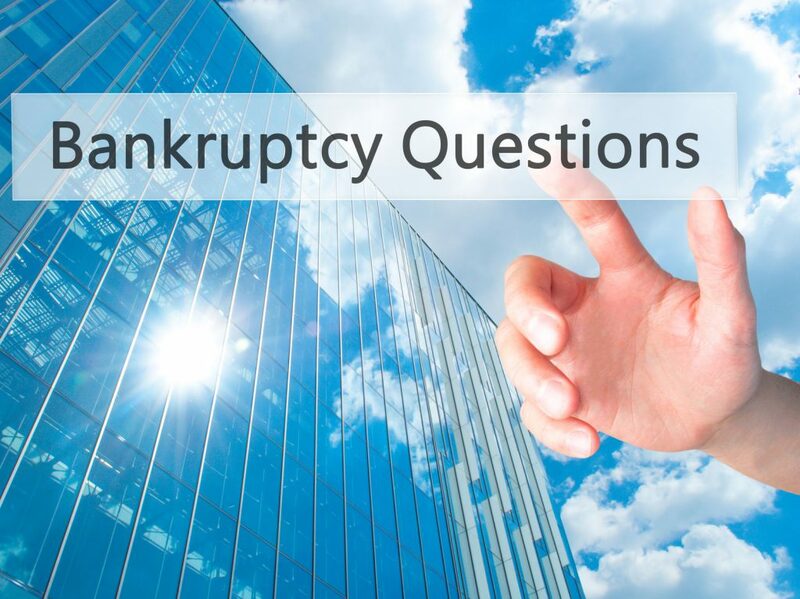 These questions help us know which bankruptcy is best for you and which you qualify under. It is important to consider where you qualify, and many attorneys neglect this step. Our Oklahoma City bankruptcy attorneys, however, understand the importance of the process and doing it correctly the first time. After we know where you qualify, you will receive a simple packet of forms. This will take as little as one hour to complete. After this, we do the rest of the work. Although filing bankruptcy can seem intimidating, our attorneys are here to help guide you through it. We walk with you through each step of the process, so you are not alone. Call us to set up a consultation and get the information you need for you to regain financial control of your life. Our Oklahoma City attorneys are here to assist you. Facing financial crises in American is more common than you would think. Thousands, even millions, or Americans face financial hardship each year. In fact, this number has reached an estimated 1.7 million bankruptcy cases per year. This number is only the amount of people filing, it does not include the amount of people eligible for bankruptcy or struggling financially. Numerous people in financial distress do not file bankruptcy because they are unaware of the benefits and relief of filing. Further, some people are ashamed of the situation and do not want to admit they are in this position. In our experience, it is common to see a huge transformation from when a client first comes in to when they file. Clients are often hopeless when they first decide bankruptcy is an option. But along the way, while filing and regaining control of their livelihood, our clients have become happy and productive individuals. Plus, the benefits of no longer receiving garnishments or harassing calls are accompanied by the ability to rebuild a strong and worthwhile credit score. In 2005 new bankruptcy laws were approved by Congress. Although many rumors state otherwise, most of the debts that were previously dischargeable can still be discharged under the new laws. These include: credit card debts, medical debts, repossessions, foreclosure, money debts, and others. The most notable difference is the application of the “means test”. For example, if you make above a certain median income in relation to the size of your family, then you may only be eligible for a Chapter 13 and not a Chapter 7 bankruptcy.